Two young women just out of university wanted to become entrepreneurs. Both were very intelligent and had become knowledgeable in their respective fields. In order to support themselves while starting their own businesses, they each took on assignments with my consultancy around the same time. As I mentored these bright young women, I did my best to understand their strengths and weaknesses, and to adjust to their unique approaches to work. Over the course of several months, one thrived. The other struggled. I was often at a loss as to help the one who struggled, and I blamed myself for her failures. But something began to nag at me as I observed their reactions to opportunities or adversity, their attitudes while completing assignments, and their overall outlooks on life. After a few months passed, I began to realize that the young woman who was struggling had an employee mentality, while my more successful mentee was adapting more readily to an entrepreneurial mindset. Perhaps not surprisingly, the young woman who quickly adapted to entrepreneurialism went on to start a successful business. The other is now working for a company in a 9-to-5 job and still dreams of making it big on her own. With a bit more maturity and experience, she may one day achieve that goal. Or she might not. Canada has one of the highest rates of entrepreneurship in the world, but still, only about 13% of us attempt to start a business. Of this small number, only about 9% go on to establish a business that lasts three-and-half years or more. And this makes Canada a leader among G7 countries! So, what makes for a successful entrepreneur? I think these two women’s traits and attitudes are instructive when it comes to understanding entrepreneurial success. Based on my experience as a career coach and small business owner for over two decades, success derives from the following 5 traits or attitudes. Starting or running a business is an emotional rollercoaster. You have to be able to remain calm and persevere when business is slow, and to keep your wits about you when you are lucky enough to be swamped by work. You have very few, if any, sick days or mental health days. And if you want to make a buck, you quickly realize there’s no one to pass it to when it comes time to take responsibility for failures. And you have to manage all these business stresses while still dealing with the everyday life stresses, big and small, that all of us face (bumpy relationships, sick family members, caring for elderly parents or children, etc.). In short, if you don’t have nerves of steel and the ability to make fun of crazy situations that would lead most other people to just curl up into a ball, then owning your business may not be for you. I am only half kidding! The two young women I mentored couldn’t have been more different in how they dealt with stress. One faced multiple challenges during her time working with me—health challenges, money challenges, and various setbacks. But she just kept on moving forward. The other woman just folded when situations got challenging or complicated. She started projects but was often sick before she got to the finish line. This was the first indication that entrepreneurial life may not be for her. If you can’t plan for the future while constantly observing and adjusting to new situations, you will struggle to make ends meet as a small business owner. You must be constantly adapting to your environment by asking questions of it: What is in it for the customer? What is in it for you partners or collaborators? What is in it for you? What is the win-win? When do you pursue an opportunity, and when do you walk away? Being in business means both planning and figuring things out as you go! You have put plans in place, but you must stay sharp and flexible as your plan unfurls. Both young women were challenged at first by the fast moving, constantly changing world of entrepreneurship. In school, there were schedules, homework, exams; it’s a predictable world. If you excel at creating and adhering to a good study schedule for yourself, you will complete your assignments on time, study rather than cram for your exams, and get good grades. Nothing had prepared them for the real world of proposals and client deliverables. Their project plans looked great on paper, but they learned quickly that they couldn’t get too attached to the plan. As entrepreneurs we know that change is the only constant and we must adapt when it invariably happens. Change in the world of small business comes in a variety of forms: you no longer can get access to contracts because of new regulations; your product is becoming obsolete because of new technology; your competitors have developed a faster and better delivery mechanism; you’re a-list clients are retiring and you need to replace them fast. It never ends! While they were not responsible for strategizing about new ways to adapt to the big changes in the industry, my mentees had to develop the entrepreneurial skill of changing the tires on the car (or project), as it speeds down the highway! Not every successful entrepreneur is naturally ebullient and communicative. Some of us have days where we’re hard pressed to show signs of life! And we all know how our moods and energy can be contagious. I simply don’t go on sale calls if I am feeling like yesterday’s coffee. No one will buy me! It’s better if I fight with spreadsheets or office files on those days. As the face of my business, I know that I have to believe in my product completely and put my best foot forward, with a smile. That demeanour is contagious and will attract other people and opportunities to me. This doesn’t mean that I don’t face rejection from time to time. It just means that I don’t internalize rejection and choose to remain optimistic. I celebrate even the smallest win. Being grateful keeps me joyful which attracts more to be grateful about. My two young women’s attitudes? Their reaction to rejection couldn’t have been more different. One saw rejection as an opportunity to learn from mistakes and would immediately begin seeking new opportunities. The other was dejected for days. She had trouble getting over one negative comment even when 10 others were positive. She wore a face that said, “I am a victim of circumstances.” Her first instinct was to blame clients or colleagues when something didn’t come through. The energy in a room went south in her presence. With coaching, she was able to change her behaviours at times and get better results, but her enthusiasm was short lived. Individuals who like predictability, routine, and order are probably better off working a regular 9-to-5 job. Working for yourself or managing a business often means inhabiting a whirlwind of chaos: missed calls, missed emails, missed deliveries, miscommunications, misjudgement, missteps, and mishaps! So, the ability to keep a clear head and work with uncertainty and ambiguity, and make the best of it, is critical to surviving and thriving in business. This attitude is closely tied to the other traits and attitudes already mentioned. Both mentees struggled with chaos and wanted me to help them find a way out, fast. I was there for them but couldn’t relieve their anxiety in the moment. I knew from experience that all of us need to keep going until the dust settles, problems are solved, and customers are happy again. In this case, there is no substitute for experience and trusting that there is light at the end of the tunnel. Your perfectionism must die or it will surely kill your business. Often, when we are just starting out in business, we try to do things to perfection. After all, it is the high quality of our work that attracts clients to our business. The irony is that we have to accept that although we will strive to do our very best, our efforts must fall short of perfection if we are to grow our business. A business owner has to know when to stop and say: it’s good enough, it’s fine, it’s ready to go out to the client now. It’s not easy to let go, but we must. The two young women were different in this aspect too. The one who went on to become a successful entrepreneur worked very hard, but she would share her product before it was completed to get other people’s input along the way. She dropped the need for perfection. The other woman strived to do most of the work on her own and agonized about her products. When she shared her work and was sent back to the drawing board by clients and collaborators, she was dejected. And each time this happened, her self-esteem was affected. She was eventually paired up with another employee and started to do better when she was closely supported and supervised. It was clear that she wasn’t ready for entrepreneurship. I’m sure experienced entrepreneurs will want to add other characteristics to this list. I’m tempted to add The Ability to See What Isn’t There…Yet and The Need to be Pig Headed (sometimes). Do share with other readers what characteristics are essential to surviving and thriving as an entrepreneur! 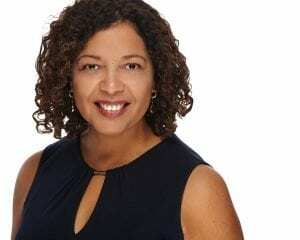 Dominique Dennery has had her own HR consulting business for over twenty years. She is also an award-winning facilitator, coach, and sculptor.